I mean, you guys did say you wanted another ODST spinoff game, right? Let’s drop in for a closer look. So, what exactly is Halo: Fireteam Raven? It’s an epic cooperative arcade sci-fi shooting game from arcade legends Raw Thrills and Play Mechanix in partnership with your friendly neighborhood 343 Industries. And while I know that “arcade legends” seems a bit like PR hyperbole, in this case, it’s well-earned. Headed by video game icon Eugene Jarvis (seriously, ever heard of Defender? Robotron? Cruisin’ USA? ), Raw Thrills is likely responsible for some of your favorite immersive arcade experiences. I’m personally a sucker for big-boy cabinets from franchises like Jurassic Park, Aliens, and Terminator (maybe even a bit of Big Buck Hunter, too), and every time I’m having a literal blast turning dollars into delight, it’s just about guaranteed I’ll find a Raw Thrills logo somewhere on the game frame. What’s crazy is that with Halo: Fireteam Raven, they’ve really outdone themselves. This thing is massive. They say it’s the biggest one they’ve ever made, and I’ve got no reason to doubt that claim. For real. It’s huge. 130” screen real estate, delicious 4k goodness, and four-player co-op. If you’re a Halo fan, or just a fan of cool interactive game experiences, you’re gonna want to play this. I know, I hear you. “But Griiiim, what about the loooore? !” So that’s one of my favorite parts of this new arcade game – it’s got a really sweet setting and story setup. Halo: Fireteam Raven takes place during the events of Halo: Combat Evolved and drops players feet first (get it?) into the boots of the eponymous Fireteam Raven – a group of elite Orbital Drop Shock Troopers (ODST) who evacuate the UNSC Pillar of Autumn during its descent to land on the surface of Alpha Halo. During your adventures, you’ll find yourself fighting alongside the the rest of the UNSC’s local contingent as they try desperately to prevent the Covenant from taking control of the ancient superweapon. If you’ve ever read Seattle-native William Dietz’s Halo: The Flood – the novelization of the original Halo game – and realized that your favorite parts were actually hearing about Silva, the ODSTs, and other UNSC forces active on Installation 04 at the time, you’re bound to enjoy this. There might even be a few other familiar feelings scattered about, never know. Working with Raw Thrills and Play Mechanix on this project has given us a unique opportunity to pepper the player experience with a really fun mix of memorable moments and iconic entities. We can’t wait for Halo fans to literally get their hands on this monster machine when it begins hitting arcade establishments in just a few short months, beginning with an exclusive US rollout at Dave & Buster’s locations later this Summer. As an added bonus, you’ll be able to scan a QR code to link your gamertag for some stat-tracking on Halo Waypoint. I also know that some of you might be worried about feeling like you'll be missing out on a bunch if you aren't able to easily get to a spot that has Halo: Fireteam Raven onhand. Rest assured, we're working on a few different ways to make sure that the canon-conscious will have ways to absorb and experience the cool story moments and learn more about the characters and setting of this unique experience. Obviously, we want as many of you as possible to be able to get out to a local establishment and take it in for yourselves, but also keep an eye on pages like these throughout the summer for deeper dives on characters, and answers to community questions we've seen pop up. 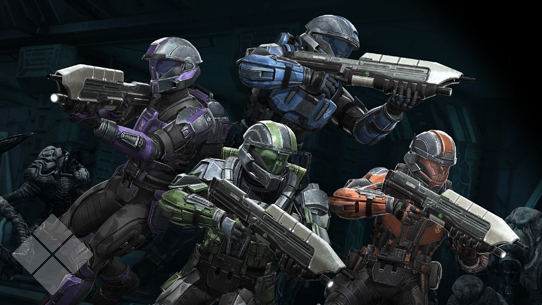 As we mentioned earlier, the main characters you’ll play as are the members of Fireteam Raven, are hardened group of ODSTs that you’ll come to know a bit better across the diverse landscapes and levels of the game. While we’ll likely dive into a bit deeper backstory at a later time, let’s at least check out a few vital statistics to get the halopedians started. We mentioned it above, but a great accompaniment to Halo: Fireteam Raven is one of the franchise’s very first books, Halo: The Flood – a novelization of the original Xbox game. 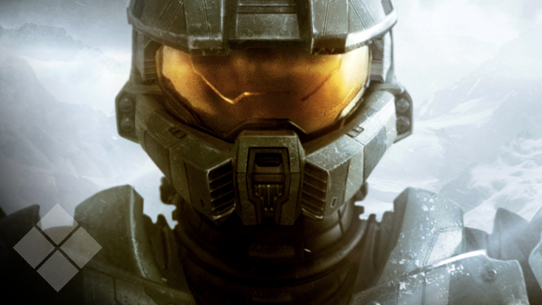 Not only does it offer an entertaining literary look at the adventures embarked upon by players in their very first foray as the Master Chief, it also fleshes out the UNSC’s wider efforts on the ring as everyday soldiers had to become heroes in their own right in order to help save humanity during the events on Alpha Halo. While it’s certainly not required to enjoy Halo: Fireteam Raven, if you’ve never checked it out, you owe it to yourself to do so, if for no other reason to experience a terrifying transformation from the perspective of Private Jenkins, a brief but legendary eulogy paid by the Chief himself in the Library, and badass ODSTs doing heroic, Helljumpery things. 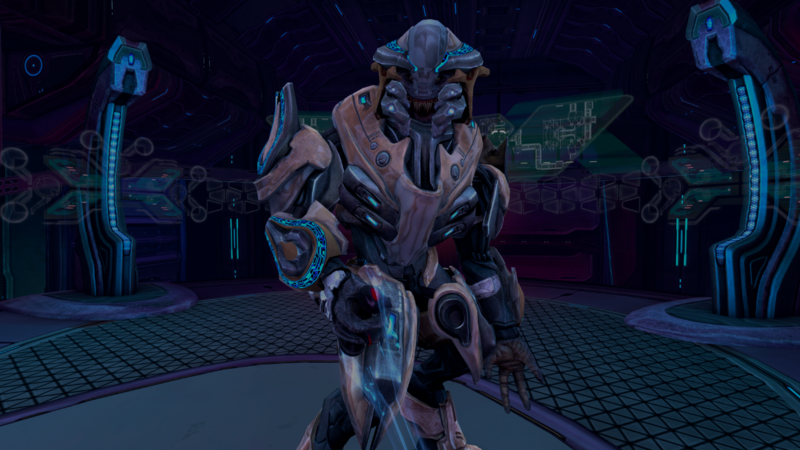 Since we’re on the general subject of the event on Alpha Halo, remember that shiny sword-wielding Sangheili you encounter on the command deck of the Truth and Reconciliation? Well, he’s got a name. Many keen-eyed lore fans will have noticed it as a small notation in books like Halo: The Essential Visual Guide and Halo: Warfleet, but for those who haven’t, here’s a brief overview. Elevated from the Zealot order by the Prophet of Regret’s own hand, Lat ‘Ravamee was a fanatical believer in the Great Journey who would sacrifice anything – and anyone – in its pursuit. Shipmaster of the Covenant CCS-class battlecruiser Truth and Reconciliation, ‘Ravamee served under the great Thel ‘Vadamee, and reveled in the honor of assisting in the destruction of the human colony of Reach. Under ‘Ravamee’s command, the Truth and Reconciliation was one of the first ships in the armada to successfully track the UNSC Pillar of Autumn in their attempt to escape the fall of Reach. Upon ultimately arriving at the human’s destination, ‘Ravamee found himself nearly overcome with joy – his life-long pursuits vindicated in the discovery of one of the Forerunners’ Holy Rings. Once positioned over the surface of the ancient installation, ‘Ravamee immediately began preparing his ship to act as a primary staging area for the Covenant to begin their reclamation of this holy world. 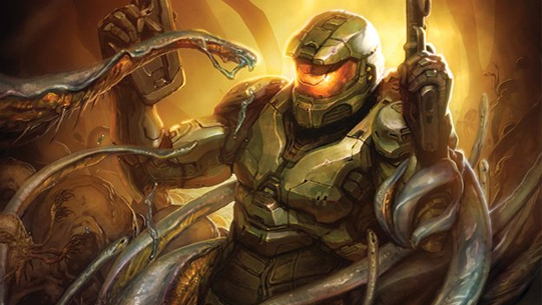 His Great Journey however, would never be realized, as the shipmaster would meet his untimely demise at the hands of a human demon – the Master Chief. 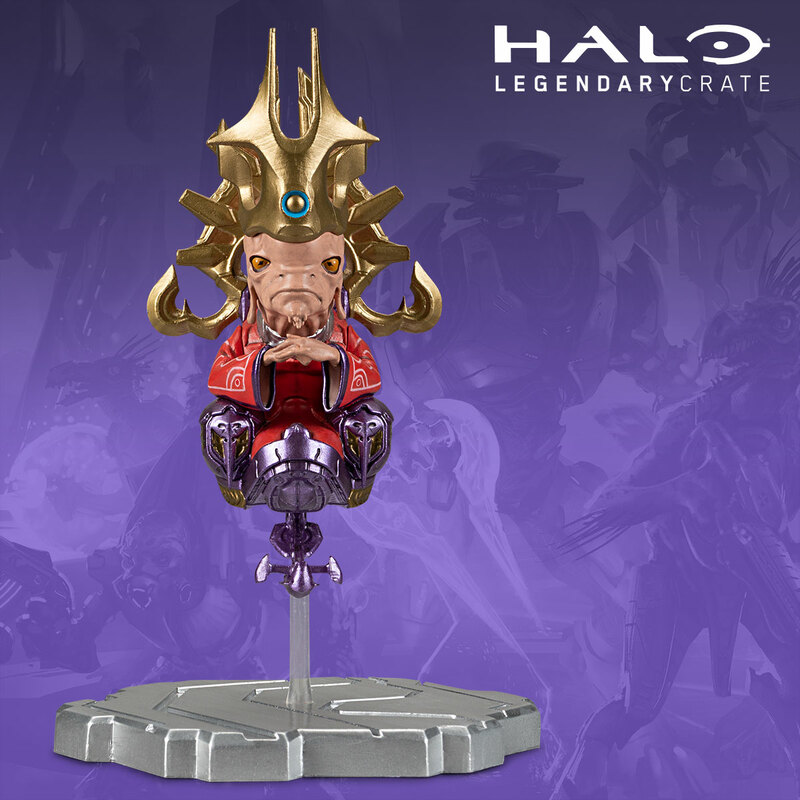 Earlier this week, we revealed the latest Halo Icons figure slated for inclusion in the upcoming Halo Legendary Crate. Closing out the second series is Ord Casto – more colloquially known as the Prophet of Truth. This mischievous and maniacal face-waddle will look quite at home in your collection hovering about in his floaty-futon-for-one, feeling all high and mighty and better than everyone else. Might want to place him close to the Arbiter figure from series one, just to keep him honest. 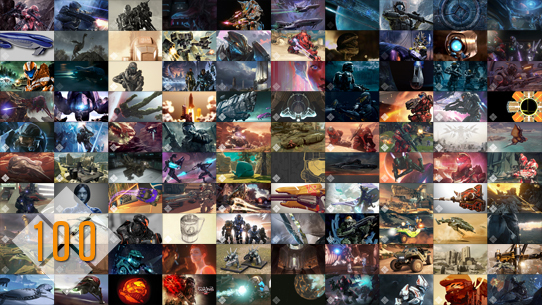 Make sure you secure yours by ordering the “Truth Foretold” crate by Jun 15 at loot.cr/Halo. Don’t forget, coming up in just a few short weeks (as opposed to long weeks, I guess), the Halo: Rise of Atriox collected edition will be available, bundling all five issues of the critically-acclaimed comic mini-series into one convenient shelf-sitting package. If you’re unfamiliar, the Halo: Rise of Atriox series tells of Atriox’s rising legend and birth of the brutal Banished faction from several distinct perspectives. 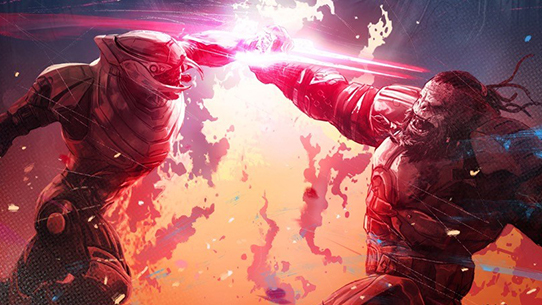 For fans of Halo Wars 2, the comic gives some really awesome additional insights into the game’s primary antagonist, while not being “required” in anyway to enjoy the title’s campaigns. The collected edition hits hobby and comic shops on May 23, and June 5 for online retailers. Make sure you get yours! And that will do it for us this time around. Thanks for hanging out with us to learn more about this crazy universe we all love – and all the cool ways we’re working on to explore it.